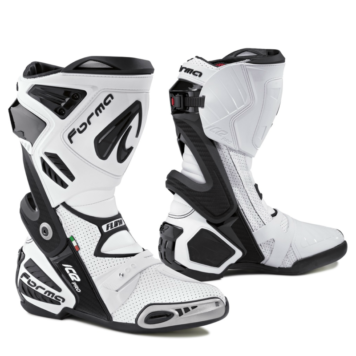 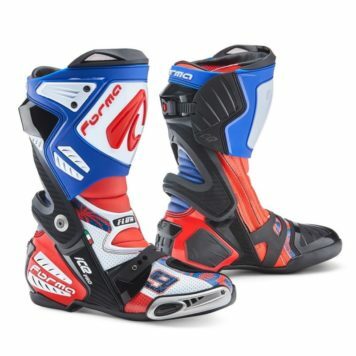 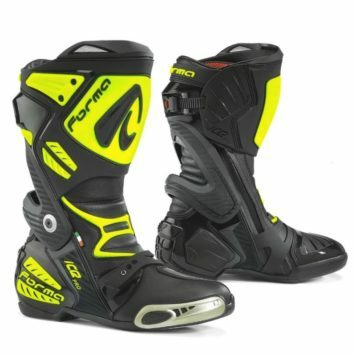 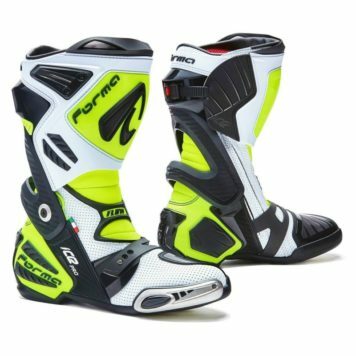 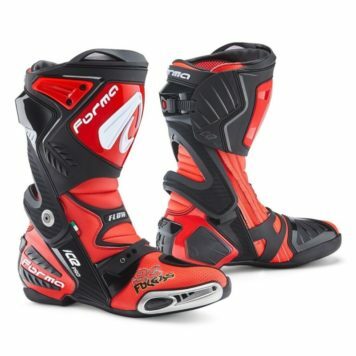 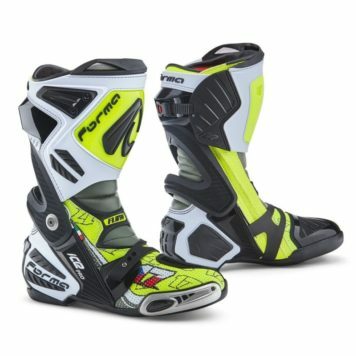 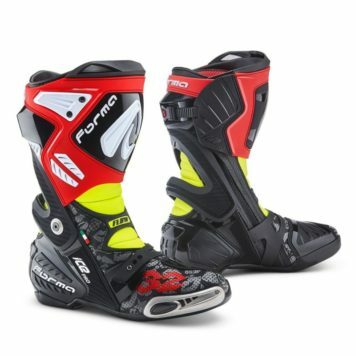 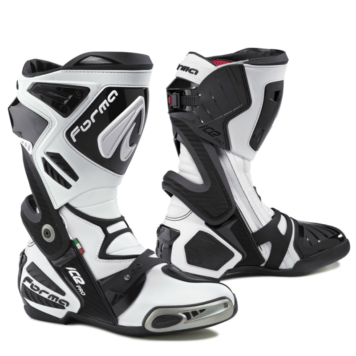 Forma Race boots are extremely technical and developed over a generation of MOTOGP racing. 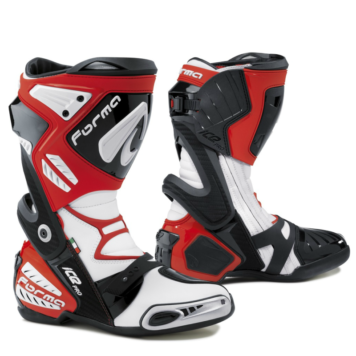 Designed for maximum feel and performance, the vented micro-fiber construction is protective and lightweight. 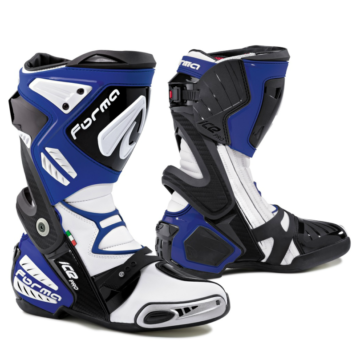 The FCS system brings lateral stability in an extreme world. 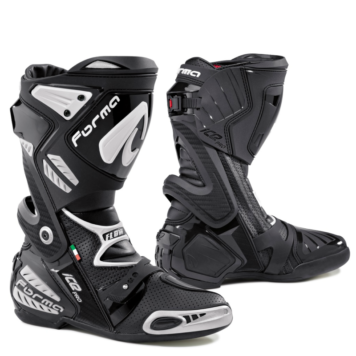 A special compound race sole for feel and total control. 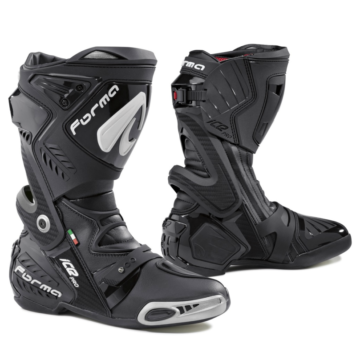 Rebuildable for when you push the limits, comfortable like traditional Forma bloodlines.